Are you looking for a Sunset Beach NC golf package to enjoy while you’re here on an upcoming vacation? Sure, we’ve got that! 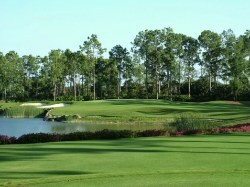 With over 20 of the most favored golf courses just minutes from where you’re staying, you’re going to love it here. You can get a Sunset Beach NC golf package that includes Oyster Bay, Brunswick Plantation, Crow Creek, Rivers Edge, Sandpiper Bay, Meadowlands, Tigers Eye,, Thistle, The Pearl, and Sea Trail, and plenty more! Depending upon the course you choose, your accommodations may be a spacious golf villa along the fairways, a comfortable ocean front room, or a stunning suite offering phenomenal views of the coastline. You can save a lot when you get your accommodations and golf all in one package. Give us a call at 866-931-5201 and we’ll set you up in style. The Labor Day Sand Sculpture Contest in Ocean Isle Beach, NC, is from 10:30 a.m. – 1:00 p.m. on August 31. Children’s division – up to 13, Family division – 4 adults and no limit on children. Rules available at the Museum of Coastal Carolina starting August 1. Trophies and prizes awarded in all divisions. The event takes place on the beach behind the Community Center on 44 East 1st Street in Ocean Isle Beach. For more information or if you have questions call 910-579-1016. Have a happy and fun filled Labor Day Holiday!